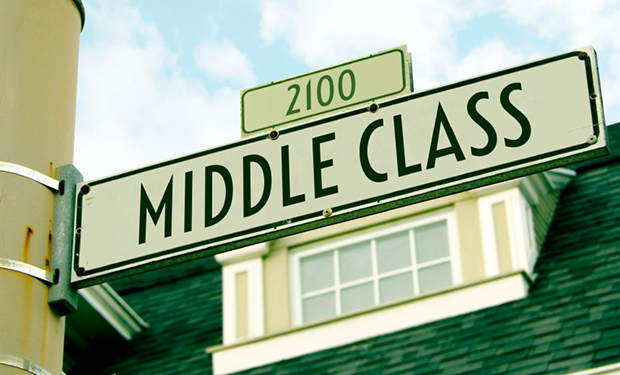 Middle Class: the Political Chosen People? The American Middle Class: the Political Chosen People? The middle classes are very influential, as they encompass the majority of voters, writers, teachers, journalists, and editors. Most societal trends in the US originate within the middle classes. The phrase “everyday Americans” skillfully finesses out of sight the disappearance of all the rungs on the ladder leading to the middle class. This re-branding points to the difficulty of evoking a “middle class” resonating with past positives such as job security, union protection, pensions, over-time compensation, middle class livable salaries and the viability of domestic manufacturing and production jobs. The difficulty emerges from the fact that all of these past positives have been vaporized by the knockout victory of capital over labor in the U.S.. The middle class does not arise from nowhere but we are not disposed to recognize clearly and with any respect any state of being except that of the elite. This may be due to a long campaign within the American cultural imaginary to denigrate and demonize a “Loser/Moocher” class while elevating a “Winner” class. What we now have in the U.S. is a middle class hardly anything like a past middle class, a middle class much like a blue collar working class, which is itself now distained in a plutarchic culture that has no “working class heroes” and holds work to have little intrinsic value for humans, while leisure does. This working class is now much like an Underclass down for the count and awaiting total eviction from the America that financialized, Wild West capitalism has created. All signifiers of class are now afloat, meaningless because all meaning has been vacated or over determined. The signifier “middle class” is overloaded with what it wants not to be identified, namely the abyss you fall into when the ladder that had been there has been removed. the benefits of its own identity toward the recuperation of some 80% of the population. This is as crazy and as voodoo as it sounds, as voodoo as siphoning all wealth upward is a boon to 80% of the population. To restore a workable economic mobility, which means not only restoring the middle class but reestablishing the distinct integrity and value of a working class, which may not choose a path of gentrified consumption and leisure, a ground level dismantling of all that supports plutarchy needs to occur. How this can be done in an America that sees a frightening socialism in any government act while much admiring the boldness of capitalism’s heroic winners, is difficult to see but re-establishing a transparency to economic mobility is a start. If it is now an arcane cabalistic matter to reach upward on the ladder, we need to look lower, lower than the middle class. We need to look at the climb itself to the middle class, at the places that formerly had an identity of their own, an identity that would sometimes be unsatisfying and thus encourage advance, and sometimes would be satisfying and no advance made. Such choices are gone. No place but the very top will now satisfy us. All the value of being any place but with the rich and famous has vanished, been stolen from us. The middle class is not on a shaky rung only because of an economic diminishment and a subsequent loss of security but also because there is no supporting structure beneath it. There is no beginning to what is middle class because that beginning has been slandered and corrupted. If we cannot have an “Amend the Upper Classes!” platform, and we wish to resurrect a strong middle class, then our platform should be “Resuscitate the Lower Classes!”Such has been done in that long period after WWII right up until Reagan. If we can do that again, we can reassemble an economic and social mobility structure that defines and describes an egalitarian democratic continuum while eliding the present Winners/Losers arena in which the Winners have full presence and the Losers, whatever they call themselves, complete absence. It’s mere brainwashing to assume that a cybertech revolution has made it impossible to follow and augment the successes of the past in regard to economic mobility. The Underclass, the working class and the lower middle class do not show up in the media in the any aspirational way. They do show up as threats to the security of “the middle class,” which a self deluded middle class believes is their security but is in reality the security of an upper or gentrifying middle class and the top 1%. Elections also ignore the bottom 40%, except to say they are “Moochers.” The so-called “middle class” now statistically looks more like the bottom 40% than the top 20%, and are likewise so absorbed in survival strategies and so filled with rage against politicians and not the magnates who own the politicians and the ruthless capitalist system that owns all of us, that appeals for their vote shape a tricky and precarious electoral politics indeed. Precarious because the self-deluded middle class does not support a politics directed at reviving “The Losers” by governmental assistance, a strategy that is too easily labeled by Neoliberals as “socialist. The perennial problem Neoliberals have in making an electoral appeal to the populace is that it is unknown what percentage has woken up to the real conditions of their lives and what percentage remains deluded. Similarly, Liberals run a risk in assuming that this crucial 40% is ready for, say, the platform of Bernie Sanders. What Liberals do know is that their “Third Way” Liberal politics begun with Clinton, continued with Obama (when he belatedly realized that no one but he was post partisan politics and thus he had to actually “do” politics), and presumably to be continued with Hillary if elected, is not fit for the times. What that approach has done is distance Liberals from the disenfranchised Underclass, the “Class That Should Not Be Named,” namely the working class, and a lower middle class that does not look at all like the gentrifying upper middle class Liberal who finds Hillary so appealing. In short, Liberals have done as much to sweep everyone below the top 20% off stage in electoral politics as has the Neoliberals. There is a conjuncture of thought here because the brand of zero sum economics in play is congenial to both parties. They join in the view that every American is on his or her way to the top 20% and that the journey there is totally in the hands of a stochastic, casino capitalism. We are to believe that everyone not among the gentry already is in a chrysalis state, always about to be wondrously metamorphosed by virtue of their own freely chosen choices. It is both ironic and unfortunate that Bernie Sanders who can enact what those not enjoying the fruits of our financialized capitalism, especially African-Americans, desperately need, namely, a substantive remodeling of this very system, profiles as disastrously as African-Americans do among policemen. We are to believe that because nothing has worth until life is fully monetized, until the American Dream of fame and fortune is achieved, there is no sense in recognizing a lesser level of existence, say, the existence of some 80% of the population. And yet there is no relief for the buried Underclass if some attention to the values of the working class is not paid. If there is no valuing of a working life that produces a well-being in itself and not deferred to some future state of fame and fortune then where the Underclass can go remains invisible. All that they can see is a gentrified success that must appear fantastical, impossible to reach, remote and bewildering. Most of the factors that created a middle class in the 20th century have gone away, either casualties of a “Wealth Drives Democracy” credo or a restructuring of the American imaginary to go along with that credo. Thus, the lower middle class may be diminished but it does not matter because somehow it is on its way to the top. Meanwhile, the working class is not on its way anywhere because it has become an Underclass/Moocher class that has lost any serviceable identity. The upper middle class is busy gentrifying what has been confiscated from the lower rungs of American mobility. The very wealthy, instead of lying low as after the Great Depression, apparently see no reason to lie low after the Great Recession. That may be because they own hearts, minds and elections, placing great faith in the lobbying power of wealth as well as the seductive and distracting powers of cyber and cell tech to keep some 80% of the population unaware that the middle class is cut off from reaching the manor house and the lower class is cut off from reaching the middle class. While the Underclass is easily and clearly dismissed by both Liberals and Neoliberals, neglect and dismissal of the “working class” is a more complicated matter. While it seems that within the American cultural imaginary, the Underclass is an unfortunate remnant of the Dark Ages, peasant and out of all civilized reckoning, the working class is necessary collateral damage, superseded and scheduled for extinction as a millennial, post-industrial, information/service, robotic and AI directed economy moves onward. Because the Liberal view is built on the struggles and successes of a unionized working class it pretends to do more for the working class than advise them to assume personal responsibility and start a business, the Neoliberal counsel. 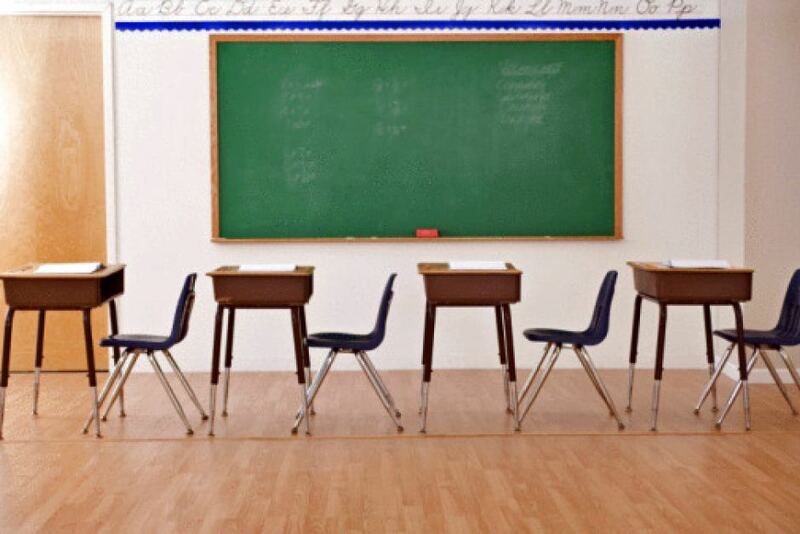 Nevertheless, Liberals have been far more attached to a gentrifying/charter school upper middle class than to the lower beleaguered classes. They have gone along with Neoliberals in allowing a fallen middle class to continue to live within a false consciousness both in regard to their own plight and in regard to the Underclass and the working class. Such complicity of Liberals and Neoliberals works to confirm the non-existence of both the Underclass and the working class. Such complicity works to eliminate the history of economic and social mobility in the U.S. while maintaining a belief that the middle class has been a fixed center of life in the U.S. . The middle class is encouraged even now in this 2016 Presidential campaign to see themselves as the “Chosen People,” the ones who can achieve the American Dream if only the Underclass were indeed the non-entities we declare them to be and the working class would accept a similar non-entity future that techno-capitalism has designed for them. It is not the wealthy power brokers who are in the cross hairs of the middle class but those who have by choice, birth, destiny or inadequacies of all variety no chance at all at climbing a ladder of success that only the middle class see themselves climbing. We are more likely to see a revolution against whatever that is left to keep the Underclass and the working class afloat than a revolution against a stochastic economic system that benefits a few who empower the continuation of that system. And yet there is now movement on the Left to realize the promise and reality of effective economic mobility engineered by a flexible and fluid class structure, a resuscitating dynamic for some 80% of the U.S. population. And a proper deflation of our present plutarchic order.